Scars on the human body hold great meaning. For any of us, our scars tell a story and prove that we are stronger than whatever life can throw at us. Still, scars are a physical change in the body that can take some time getting used to. Some people even choose to cover their scars at first. Many celebrities also have their own scars and their own stories, but instead of hiding them, they have embraced them. The way these celebrities flaunt their scars and welcome their past is truly inspiring. We had no idea there are two royals with surgery scars! 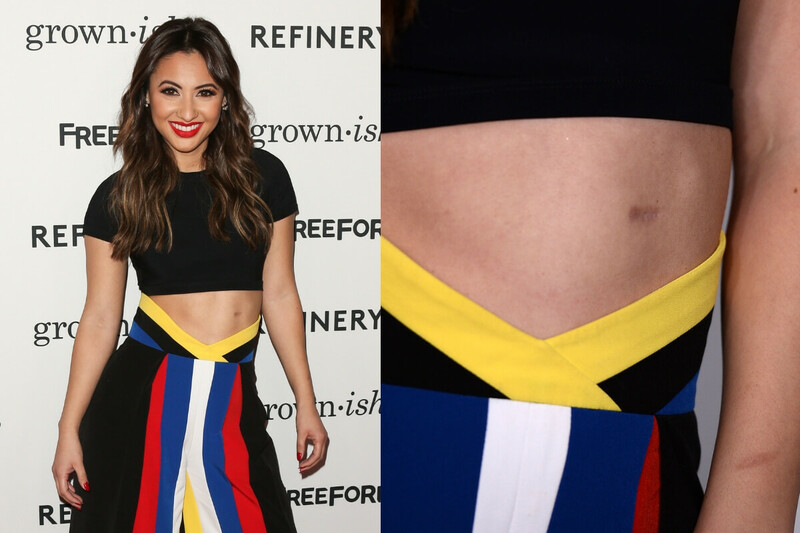 The Top Chef host was also very conscious about the 7-inch scar running up her right arm. She was in a car accident when she was 14 and the scar even stopped her from pursuing a modeling career. One of the most recognizable things about Seal is his facial scars. There have been tons of rumors about everything from tribal scars to being attacked by wolves, but they’re actually from a specific type of lupus. The disease can cause skin inflammation, scarring, and even hair loss. 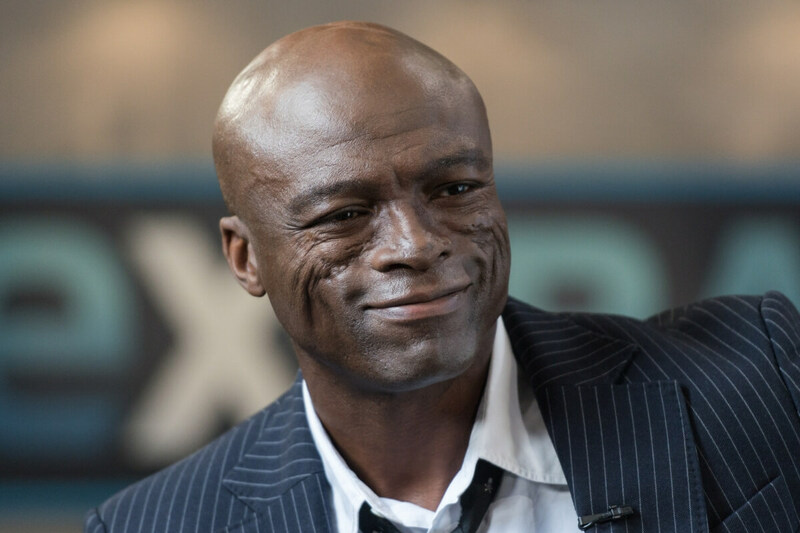 Seal is now in remission from lupus but admits he learned to love the scars. 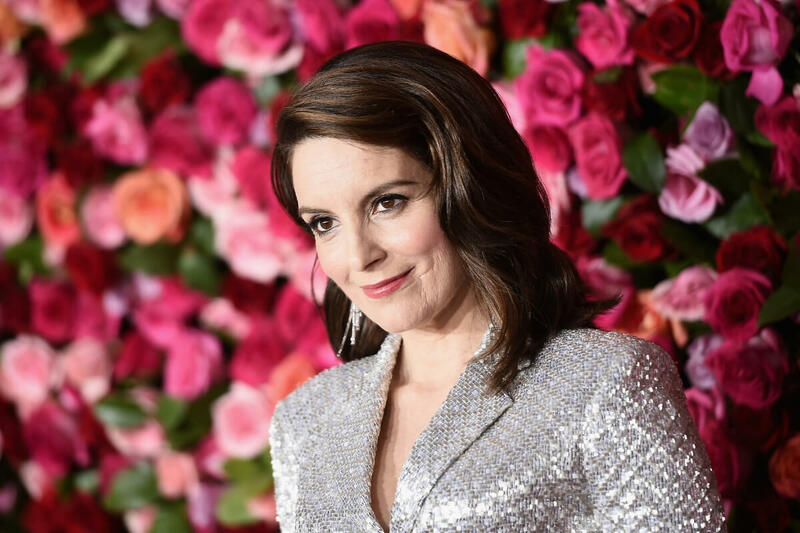 It’s usually well hidden under her red carpet makeup, but if you look closely you can see a long, thin scar across Fey’s face. The scar is thanks to a still-unknown attacker that violently slashed her face while she was playing in the front yard as a child. Many people remember the horrific crime that left one artist’s stomach covered in surgery scars. Zeta-Jones would not be alive if it wasn’t for the tracheotomy surgery she had which resulted in her distinctive neck scar. The operation is done when a child has breathing problems and the doctor needs to make an emergency airway for the lungs. Zeta-Jones was initially timid of her scar when she broke into Hollywood, but she knows she wouldn’t even be alive today without it. For as long as we’ve seen Ford on the silver screen, he’s had a distinctive scar on his chin. 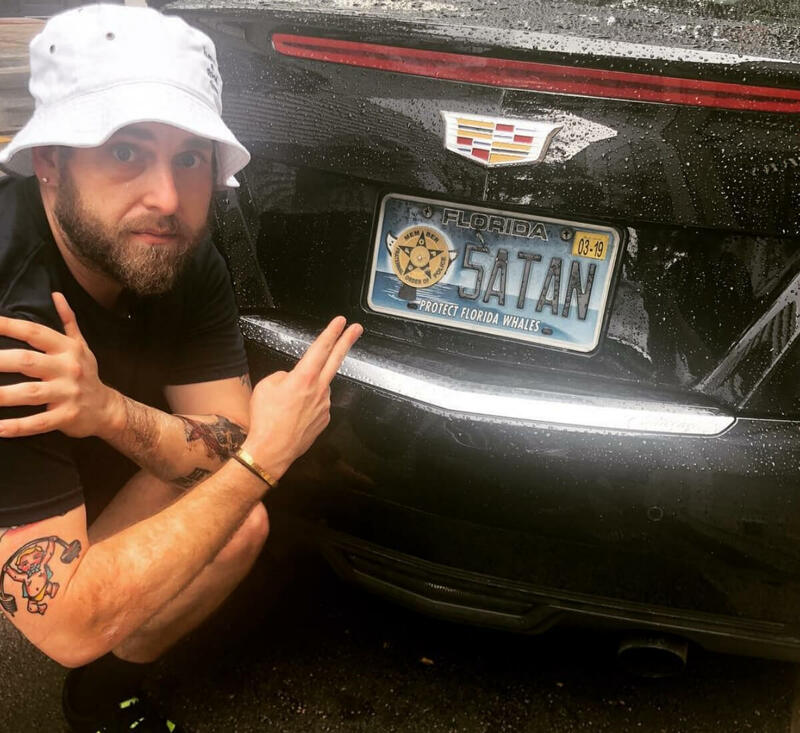 It came from a car accident where he hit a telephone pole near Laguna Beach, California. 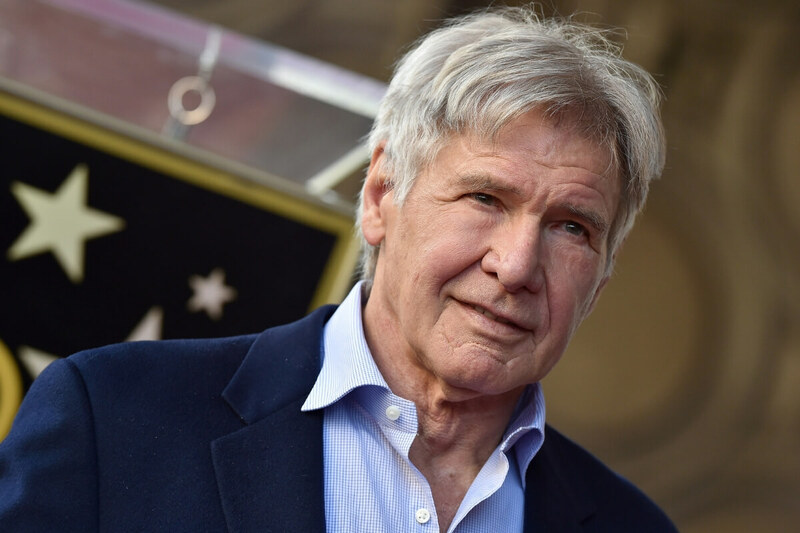 The accident was traumatic, but helped establish the “rugged and handsome” look the star would use to his advantage for roles like Han Solo and Indiana Jones. 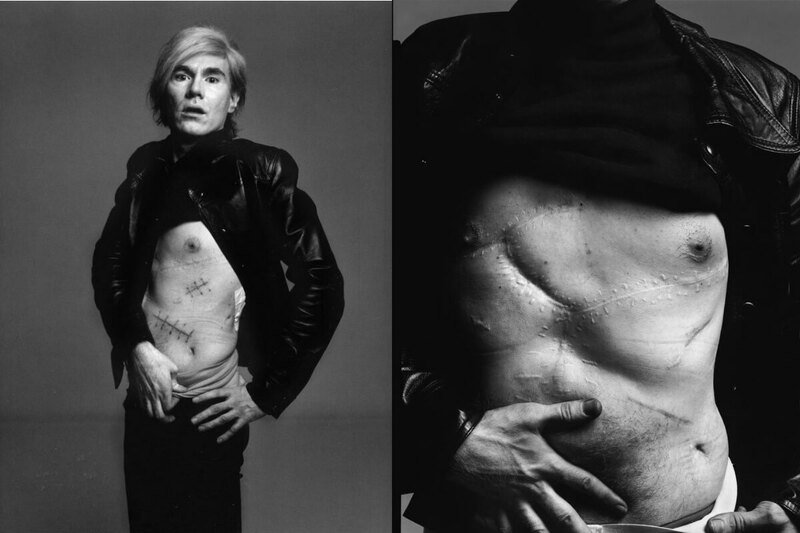 The legendary artist has an abdomen covered in scars thanks to an attempt on his life. On June 3, 1968, Warhol was shot in his studio. The surgery that saved his life left him with notable scars and changed his life completely. He had to wear a surgical corset, often shows the scars off in photoshoots, and even said the experience made him wake up and live life again. Many fans of the royal coming up had no idea about her scar until she changed up her hairdo. Hyland has been in the spotlight since 2009 when she landed the role of Haley on Modern Family. She’s used her platform to bring awareness to her health problems and scars. In 2012, she had to have a kidney transplant which left her with a scar along her lower abdomen. She even frequently hashtags her Instagram photos #showyourscars to encourage others to flaunt them, not hide them. Another Modern Family star that has been in the spotlight since a young age has had to deal with a lot of backlash for showing off her scars. Winter underwent a breast reduction surgery when she was 17 years old and has never been afraid to show off the scars. One year after the surgery, she purposely walked the red carpet at the SAG awards with a dress that wouldn’t hide her scars. 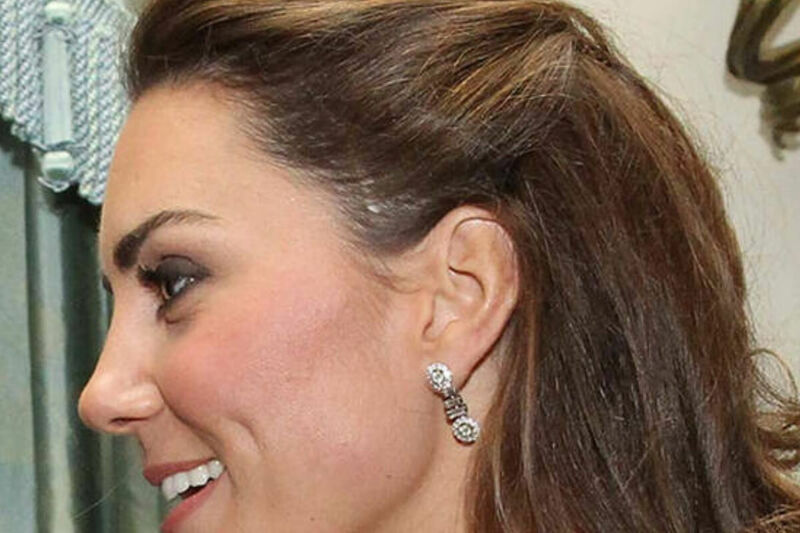 The Duchess of Cambridge usually wears her hair down in those iconic bouncy waves, but she has been pulling her hair back and showing off her scar more and more. The scar runs along the left side of her head underneath her hairline. Middleton announced the scar was “related to a childhood operation” but didn’t elaborate. Maybe motherhood and life in the limelight have inspired her to proudly show off her scars. Kate isn’t the only royal with a surgery scar. The one coming up had social media praising her outfit choice. Kylie has never been afraid to flaunt every part of her body on social media, and that includes the large scar on the back of her left thigh. She got the scar at a fan event when she had to make a quick exit, climbed over a gate, and slipped and fell on a sharp pole. Williams prominent facial scar is the result of a razor blade used in a bar fight that almost killed him. The scar that was left has actually helped his Hollywood career. 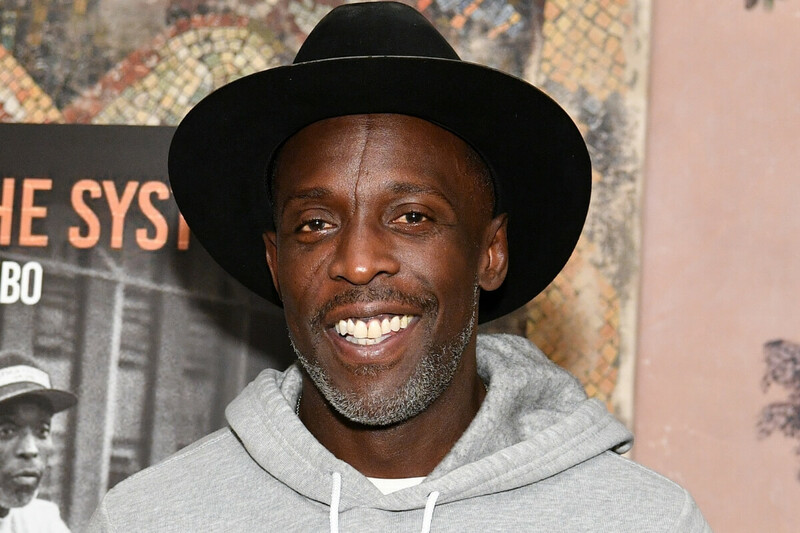 It has become his signature and allowed him to act within a niche of tough, gritty characters like Omar Little on HBO’s The Wire. Williams actually cites Seal’s facial scars and inspiration for him to embrace his own. 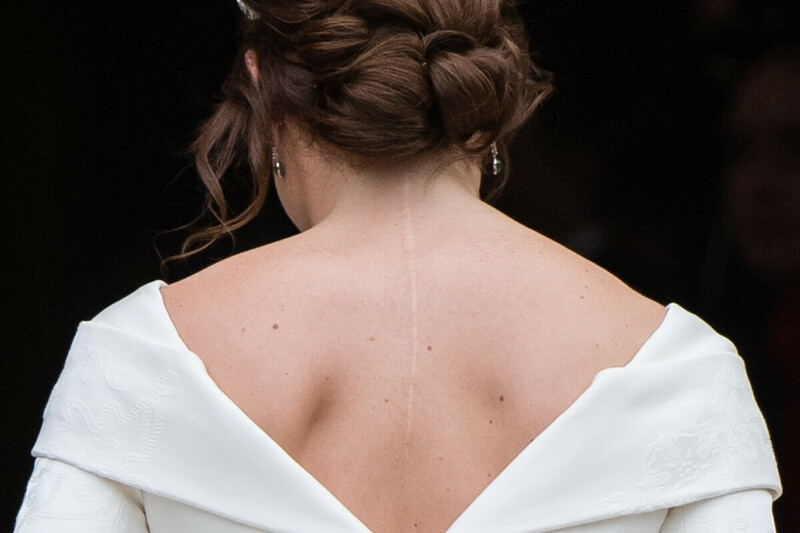 The newlywed royal recently made headlines for choosing a wedding dress that put her scoliosis scar front and center. Many with similar scars took to social media thanking the Princess for showing the beauty of the scar. The next two celebrities have matching scars for a heartwarming reason. Raisa’s small scar along her abdomen is from a kidney surgery, but it wasn’t to save her own life. 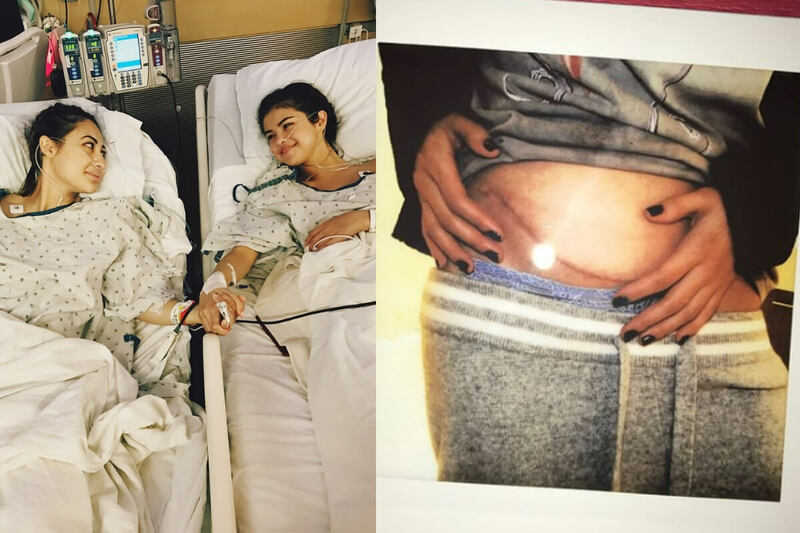 Raisa actually donated her own kidney to her best friend Selena Gomez in September 2017. She’s never been afraid to show off the scar as it only took a few days after the surgery for her to proudly flaunt the scar on social media. Gomez has the sister scar to her BFF Francia Raisa. Gomez has publically battled lupus, and in September 2017 it was announced she needed an emergency kidney transplant. While Gomez is a much more private person than Raisa, she has still embraced her scars in the public eye. Queen Latifah’s forehead scar has been there as long as the public has known her, and it’s all thanks to her brother. 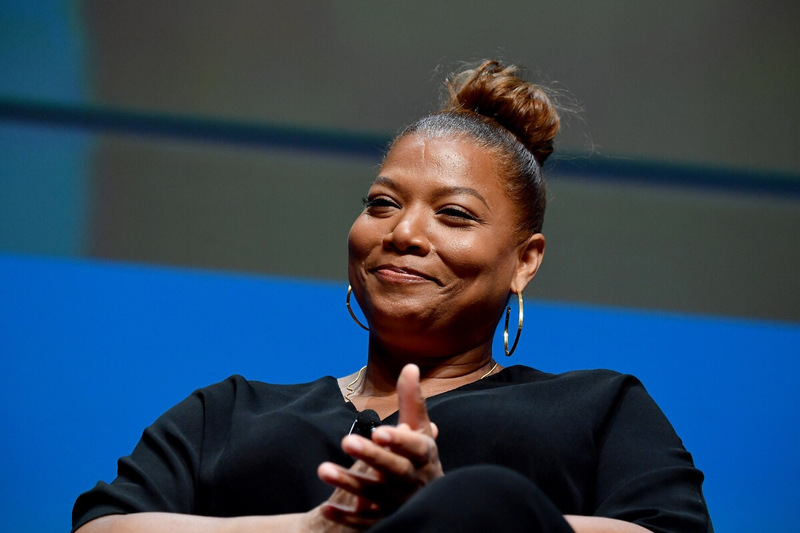 The two were playing tag as a child, and Queen Latifah tripped and fell into the corner of the bathroom wall, and needed three stitches. 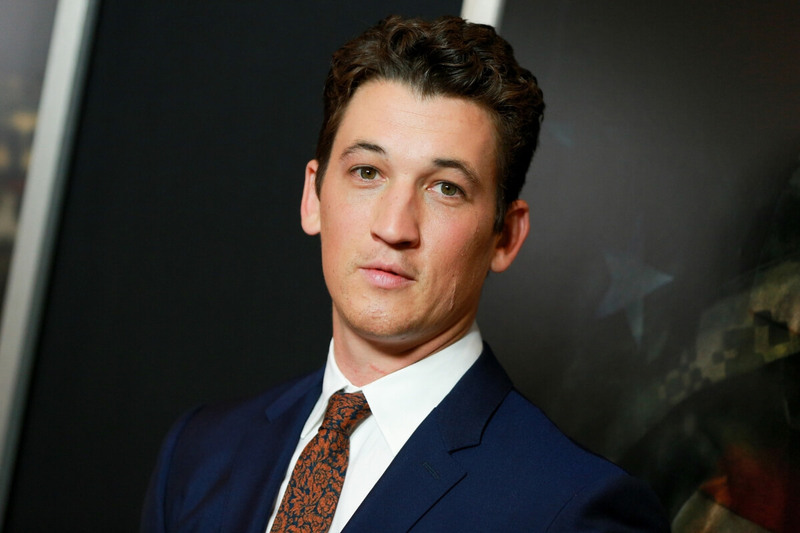 Keep reading to see which actor originally tried to cover his scars for auditions. 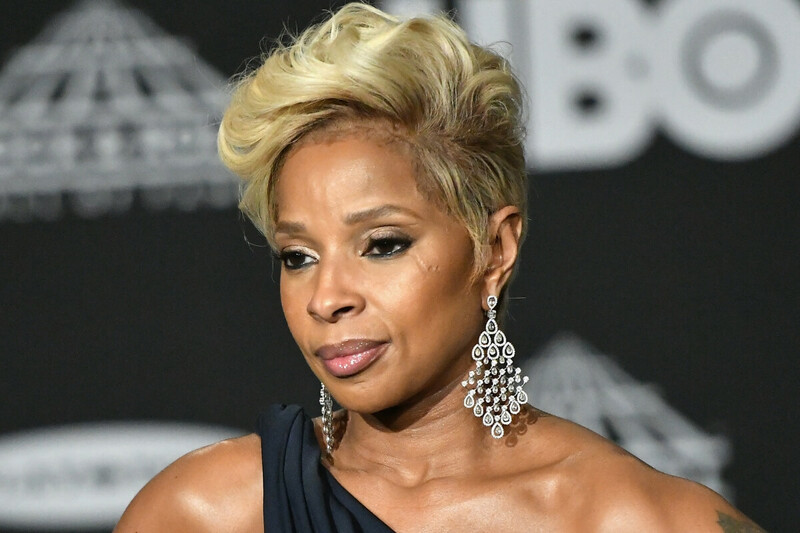 The powerhouse singer has never told the public exactly how she got the prominent scar under her left eye, and she doesn’t plan to. The Big Bang Theory star has a huge scar running from her foot up her leg thanks to a horseback riding accident. Her horse spooked, booted her off the horse, and left her needing two steel bars in her leg. Cuoco felt uncomfortable on the red carpet for a long time, but now she’s embraced the accidental scar. 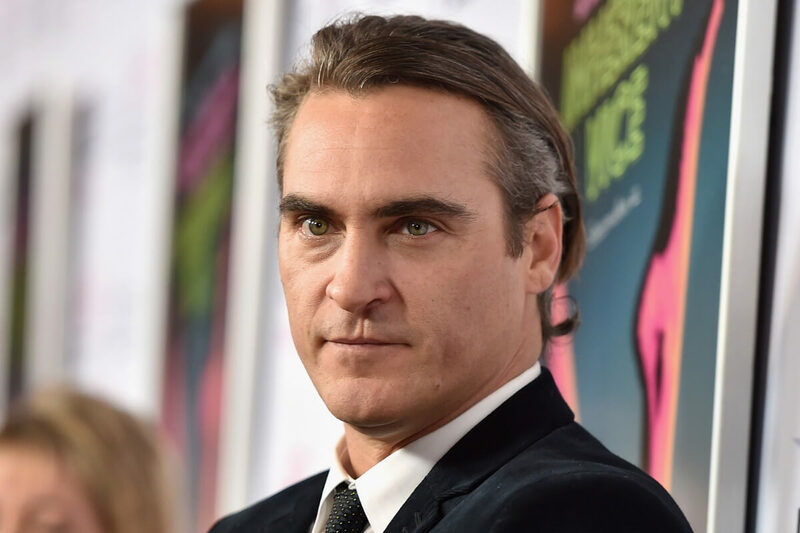 The up and coming actor has multiple scars along his jawline as a result of a 2007 car accident. Teller told ShortList that he used to cover the scars with makeup for auditions, then one day had a change of heart. Teller decided that he was going to “be the actor that people know for having scars.” It definitely hasn’t affected how much his fans love him. The actor and comedian has a large scar along his right arm all thanks to his own admittedly stupid decisions. When he was 15, he was riding out the window of an SUV and the driver recklessly flipped the vehicle. He woke up in the hospital to see his parents crying and the doctors deciding whether or not to amputate. From that experience, Hill says his scar reminds him to work hard and be thankful every day. By calling the scar a birthmark, he has inspired many with a similar mark from cleft palate surgery.